Archives, museums and libraries choose ADA because they want to manage and control in house all the elements and actors in a digitization process at very little or no additional cost. More than just managing the digitization process, ADA gives you the opportunity to store your holdings online and to interact with your audience, to export your collections for special exhibitions or to any of the many open source catalogue management tools. The ADA platform provides an advanced set of tools for management of a digitization process. Its workflows cover most typical use cases, including handling newly scanned documents, integrating previously scanned digital collections, with or without metadata, incorporating unprocessed archival collections, supervising crowd sourced metadata input, and more. 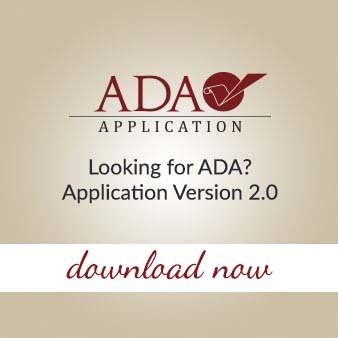 ADA can serve as a temporary document repository, offering controls for metadata mapping into Dublin Core meta tags. ADA is built as a Drupal 7 distribution package, containing the Drupal core, a number of contributed community modules, several modules specifically built for ADA, the ADA theme, and a pre-defined configuration. The standard ADA configuration can be quickly installed on any pHp 5.3x / Mysql 5.x enabled web server, following the common Drupal installation procedure. Additional advanced features, requiring the server level installation of third party open source software are supported by detailed documentation.